Today, we’re reviewing one of the most important devices you can own: an alarm clock. Say what you will, but if smartphones didn’t have built-in alarm functionality, we’d all still own one or be lost without. But the little devices have come a long way since their days of simply beeping achingly loudly at 5am every morning. They’re fast becoming like smartphones: jacks of all trades. The Astrum ST250 is a good example. 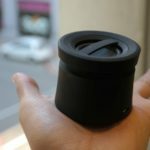 It’s a device that meshes together a number of products — from alarm clock to Bluetooth radio — into a 700g package. Visually, it comfortably melds the classic clock radio aesthetic and the newer Bluetooth speaker feel. The top of the rectangular unit features a honeycomb grid sitting about the speaker. Touch-activated LED lights occupy each corner of the device too, for finding things in the middle of the night. The ST250’s control strip — also touch sensitive — sits along the top edge and allows users to switch between various modes, set alarms, view the clock, and set the device’s sleep timer. At the rear lies the ST250’s I/O, which includes a microSD card slot (with support for up to 32GB cards), a line-in slot (that doubles as an aerial for the FM radio), a killswitch on-off toggle, and power input in the form of a microUSB slot. The latter’s quite the godsend, and means that the ST250 can be powered using pretty much any smartphone charger. The ST250 doesn’t come with a charger of its own though, which is ridiculous considering its price and intended application. You’ll need a spare smartphone charger to keep it powered, unfortunately. Once you do locate one though, the Astrum also has a built-in internal battery of 4000mAh, enough to last it through your average Eskom power outage. And finally, around the front lies the clock face in a retro glowing orange style. Notably, there’s also an ambient temperature readout for the room to its bottom right, and the date to the top left. While the date can’t really be wrong unless you’ve miss-set it, the thermometer does seem to be a few degrees off on occasion. This may be due to the temperature of the clock radio itself. 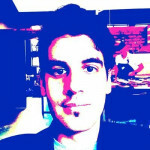 It’s not a complete fail; just something to note. 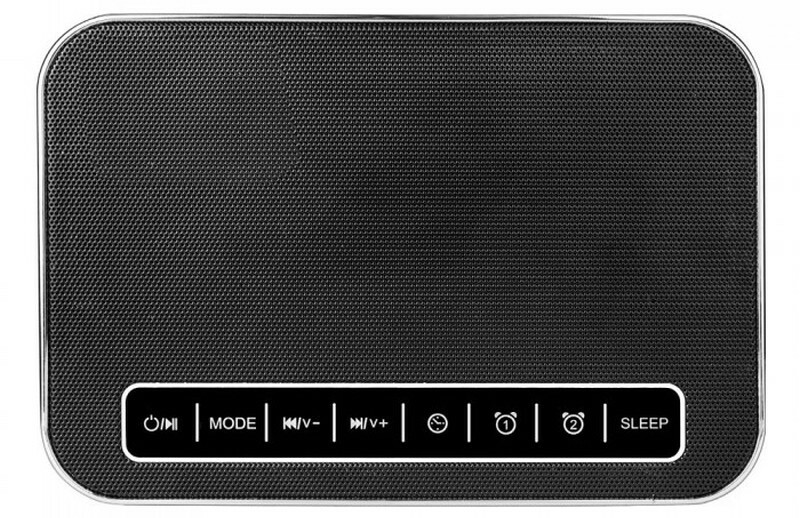 And considering the Astrum is effectively an alarm clock first and foremost, its speaker is pretty damn excellent too. It’s a 10W RMS unit and is perfect for listening to podcasts or Cardi B before bed. I’ve also been streaming game audio from my PC via Bluetooth, and it works a treat. Latency isn’t too much of an issue, and the frequency response to low tones is admirable. Just don’t expect it to honour your dubstep collection. Modes are easily swappable too. Tap of the “Mode” button cycles between them, beginning with Bluetooth. Line-in is another option, allowing users to play audio through a cable from their smartphone or tablet. Hell, even their TV sets. The ST250’s FM Radio antenna also slots into this port, and allows users to play SA radio stations. Sadly, AM isn’t supported, so you won’t be getting any Cape Talk or Radio 702 through this particular device. It’s a big issue for those looking to replace their kitchen radios with this device. A sleep timer can also be set in another mode, forcing the Astrum ST250 to go to bed when you’re at work. You may not want to set it to sleep when you’re asleep though — it makes the most obnoxious bleeping sound when shutting down or starting up. Notably, as mentioned before, the Astrum usually shows the date above the temperature readout, however, if another mode is selected, the time is displayed in this area. The mode selected is displayed in the clock’s readout area. It may seem like a strange thing to mention, but it’s a tiny detail like this that really makes the Astrum stand out. Two alarm clocks can be set too, perfect for heavy sleepers. Annoyingly, there’s also no way to use that 4000mAh battery to charge other devices. Granted, it’s not exactly large, but it would be excellent emergency power for wearables and smaller smartphones. And speaking of annoyances, the ST250’s touch sensitive LED lights were sometimes a bit too sensitive. When moving the clock, they’ll switch on even if it wasn’t intended. I understand that it adds to the ease of use if the entire top section of the clock activates the lights, but it also switches the unit on if its off, or sleeping. Furthermore, if you accidentally switch the lights on, the entire clock will switch on too. It’s daft design, especially when the LED lights are only required, and something that should be better considered in future models. 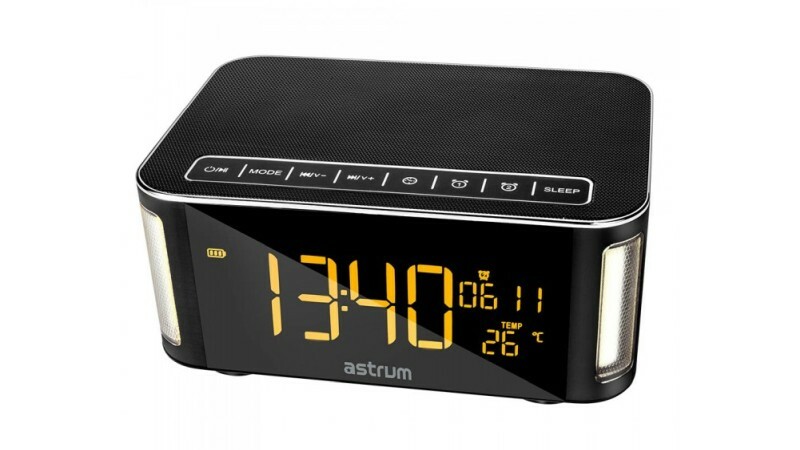 All in all, the Astrum ST250 comes pretty close to being the ultimate alarm clock. It won’t charge your smartphone, and will require another USB port on your hub or from your wall, but there really aren’t too many game-breaking issues to be had with it. It’s built solidly and looks the part on an office desk or bedside table. And to be fair, for R649, it bundles the convenience of an alarm clock, a night-light, an FM radio and a Bluetooth speaker into one device. Pay for each separately, and the Astrum starts looking like quite a snack.